The Urban Politico: Books of the Month: "I Want You to Shut the @#$* Up" and "What's the Matter with White People"
Books of the Month: "I Want You to Shut the @#$* Up" and "What's the Matter with White People"
"I Want You to Shut the F#ck Up: How the Audacity of Dopes Is Ruining America"
The American dream is in dire need of a wake-up call. A f*cked up society is like an addict: if you are in denial, then things are going to keep getting worse until you hit bottom. According to D. L. Hughley, that's the direction in which America is headed. In I Want You to Shut the F*ck Up, D.L. explains how we've become a nation of fat sissies playing Chicken Little, but in reverse: The sky is falling, but we're supposed to act like everything's fine. D.L. just points out the sobering facts: there is no standard of living by which we are the best. In terms of life expectancy, we're 36th--tied with Cuba; in terms of literacy, we're 20th--behind Kazakhstan. We sit here laughing at Borat, but the Kazakhs are sitting in their country reading. How scapegoat politics is dividing America and bankrupting the middle classThe size and stability of the American middle class was once the envy of the world. But changes unleashed in the 1960s pitted Americans against one another politically in new and destructive ways—while economically, everyone fell behind except the wealthy. Right-wing culture warriors blamed the decline on the moral shortcomings of "other" Americans—blacks, feminists, gays, immigrants, union members —to court a fearful white working and middle class base with ever more bitter "us" vs. "them" politics. Liberals tried but mostly failed to make the case that we're all in this together. In All for None and None for All, MSNBC political analyst and popular Salon columnist Joan Walsh traces this deeply disturbing dynamic as it has played out over the last forty years, dividing the country, poisoning its politics, jeopardizing its future—and splitting her working class Irish Catholic family as well. Connects the dots of American decline through trends that began in the 1970s and continue today—including the demise of unions, the stagnation of middle class wages, the extension of the right's "Southern Strategy" throughout the country, the victory of Reagan Republicanism, the widening partisan divide, the increase in income inequality, and the drop in economic mobility. 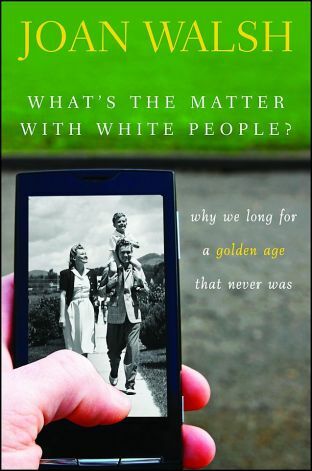 As the United States becomes a "majority-minority" culture, while the GOP doubles down on racial and cultural appeals to rev up its demographically threatened white base in 2012, Walsh talks about race in honest, unflinching, unfamiliar terms, acknowledging not just Republican but Democratic Party political mistakes—and her own. This book will be essential reading as the country struggles through political polarization and racial change to invent the next America in the years to come.